This weekend we took Keegan to the Mt. Timpanogos Temple to be sealed to our family for all Eternity. I realize that some of my friends and family don't know fully what we do in the temple. I can say that it is a holy place, a place of instruction. Where we make covenants and promises to ourselves and our Father in heaven. In the temple we are bound together in the most sacred of all human relationships - as husbands and wives, as children and parents, as families under a sealing that time cannot destroy and death cannot disrupt. Only Latter Day Saint members, having been certified as to their worthiness can enter. We are taught to enter clean in thought, clean in body, and clean in dress. We are expected to leave the world behind and concentrate on things divine. Which is why of course I love to go to the temple. It is a peaceful place. And a very special place. 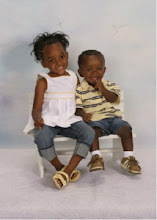 So I am full of joy when I can have this special experiance with my family. We had many family and friends there with us to witness this special event in our lives. Keegan was very happy as usual. And Daesha was taking it all in. This was her 2nd time in the temple since she was sealed to Ted and I when she was 6 months old. We were able to retell the story of when she was a baby in the temple. And also told her that she can come back; if she chooses, when she is older and ready to get married. Sunday we were able to give Keegan a name and blessing in our church building. This act is like a prayer for health and sprituality. It also officially puts his name in the church records. After church we had lunch for our family and friends. It was a great weekend. Thanks to everyone who took the time to come and we missed those who we know would have loved to be there but couldn't. We love you all! I will post pictures soon. 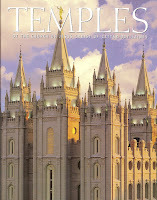 If you want to know more about our temples there is a magazine that was published in 1999 entitled TEMPLES of the Church of Jesus Christ of Latter Day Saints. I am soo happy for you either way! HORRRAY for families forever! that sounds great and congrats! the temples are soooo pretty...from the outside anyway and i'm sure they are even more beautiful on the inside! That was such a neat experience. I'm so glad that I was able to be there. Ted did a great job in the blessing. Sorry that we couldn't make it to the luncheon. I bet the food was yummy!! !